By lavender at Mar. 23. 2014. We’ve got some interesting tomato seeds this year thanks to Monica. The seeds are from a new variety of tomato, Indigo Rose. Monica gave me a small red tomato last year that finally turned a purple so deep that was almost black. She got it from Erica, who got the seeds from a colleague, who purchased them from Territorial Seeds. That little tomato had quite a history and was interesting so instead of eating it I saved the seeds. 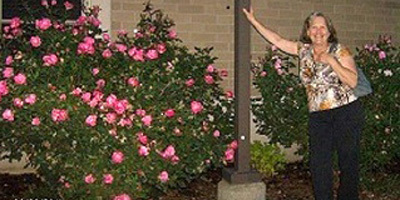 Indigo Rose is the result of a breeding program at Oregon State University. The goal was to develop a tomato that was high in anthocyanins. Anthocyanins are potent antioxidants found in colorful fruits and vegetable such as blueberries, concord grapes, raspberries and red cabbage. They contain a red/blue/purple pigment whose color is dependent on the pH of its surroundings. Anyone who has ever tried to get blueberry stains out of cloth has probably witnessed this phenomenon as various efforts just change the color of the stain rather than removing it. These pigments are also responsible for the fall coloration of red leaves. There are over 600 types of anthocyanins found in foods. They are one of many types of antioxidants that, depending on your source of information, can trap and destroy free radicals that do everything from damage your genetic code to encourage the clogging of your arteries. While studies at the Harvard School of Public Health suggest that mega-doses of antioxidants are not effective in disease prevention there is a lot of anecdotal information that leads to the conclusion that ethnic diets rich in foods containing antioxidants lead to lower incidents of arteriosclerosis, cardiovascular disease, cancer, diabetes and a host of other chronic conditions. There are thousands of chemical compounds found in food that can act as antioxidants and very few of them have been studied to date. The ones that the Harvard article bases its conclusions are carotene and vitamin E neither of which are anthocyanins. So Indigo Rose may or may not improve your health but it is a marvelous little tomato in a very unusual color. 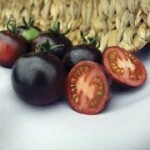 Normally the purple /blue anthocyanins are found only in the stems and leaves of garden tomatoes. (The red color in tomatoes is caused by lycopene, a carotenoid pigment.) A few wild varieties of tomatoes contain anthocyanins in the fruit. These wild tomatoes from Chile and the Galapagos form part of the genetic makeup of Indigo Rose. 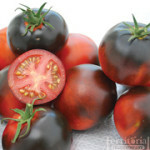 There are tomato varieties like Cherokee Purple that have the purple coloring but do not have high anthocyanin content. They also aren’t a true purple. According to Jim Myers, an OSU horticulture professor who helped to develop Indigo Rose, “”Other so-called purple and black tomatoes have the green flesh gene, which prevents normal chlorophyll breakdown. A brown pigment called pheophytin accumulates and has a brownish color that makes a muddy purple when combined with carotenoids. Indigo Rose was bred by conventional cross breeding techniques and is not a product of genetic engineering. It is an open pollinated tomato so the seeds should breed true. Since 20 seeds are $3.35 this is a handy trait. In a mini germination trial I had a 100% germination of saved seeds. Indigo Rose is about 11/2-2 ounces and grows in clusters of 6-8. It is about the size of a plum. 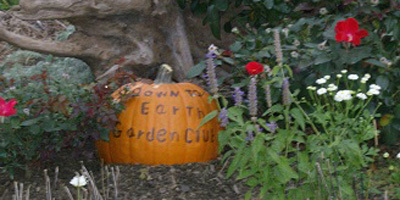 The parental varieties are cherry tomatoes and small slicer tomatoes; so expect something in the middle of that range. 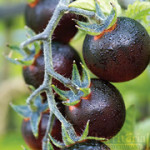 The green tomato turns red and on exposure to sun becomes a deep purple bordering on black. The underside of the tomato will often remain red and the interior is the conventional tomato color. Tomatoes are ripe when the skin dulls. A shiny bright blue tomato is not quite ripe. A dull brownish purple tomato is. This is a late season tomato taking 90 days from planting to produce ripe fruit. The flavor is open to debate. It is reported to be a well-balanced flavor, “crisp and clean” although it is apparently not one of the sweetest of tomatoes. Indigo Rose is substantial enough to be used in sauces but purple tomato sauce might be a bit off putting if indeed it makes purple tomato sauce. There are no reports that it changes color when cooked as do many vegetables. The breeders are saying that the anthocyanins are only in the skin and outer flesh so that the red pigments in the interior will dominate. Sauces and juices should be more of a red than a purple. As with most tomatoes, taste can be affected by weather, growing conditions and soil. Personal preference, of course, is the final deciding factor. The vine is indeterminate and reported to be a moderately vigorous grower. Growers are reporting a size of about 3 feet. They have not been bred to be resistant verticillium and fusarium wilt so these tomatoes should not be grown in areas where these are a problem. They can be grown as grafted plants if the rootstock is resistant. Master Gardeners in the San Francisco area did some informal trials that can be accessed here http://smsfmastergardeners.ucanr.org/Elkus/Indigo_Rose_Tomato_Trial/ The trials are interesting but not necessarily applicable in our area. The seed for Indigo Rose was released in 2012 in limited quantities. At the time Myers indicated that they were working on breeding the high anthocyanin content tomato in other sizes. These are now on the market. Territorial Seeds has an entire Indigo Series. In addition to Indigo Rose, we now have available Indigo Kumquat, Indigo Blue, Indigo Apple and Indigo Ruby all high in anthocyanin. 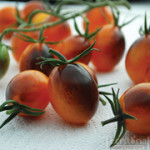 Indigo Kumquat is a smaller tomato at about 1 ounce making it the grape tomato version. It is produced in clusters and is an orange colored tomato with the purple coloration only on the top. The flavor is supposed to be sweet and the fruit highly aromatic. Indigo Kumquat is a semi-determinate plant. Indigo Blue Berries is a cherry tomato at one to two ounces. Again, it is two toned with the semi ripe fruit having a scarlet bottom and purple top. The fully ripe fruit has a black top with a maroon bottom. The plant is indeterminate. Indigo Apple is a larger cherry tomato at 2-4 ounces. It is an early variety ripening to an almost black color. 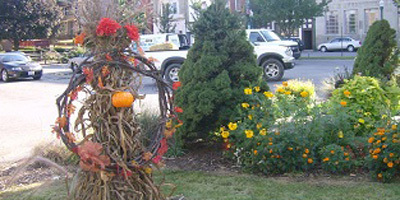 The plant is indeterminate and produces fruit over most of the season. Indigo Ruby is a 1-2 ounce plum shaped tomato. The fruit has a bright red bottom with a violet blue top. The interior flesh is bright red. 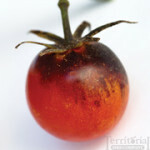 This is the only tomato in the Indigo series that is described as sweet. The plant is determinate.